We are a Landscape Contracting Company that specialized in Landscape Construction, Synthetic Turf Installations and Commercial Grounds Management. We have been serving the Fresno area for over 25 years with a proven track record of success in the creation and maintenance of beautiful landscape environments. Count on us to provide a complete range of services to meet all of your requirements. Proudly serving all of Fresno, Madera and Clovis. 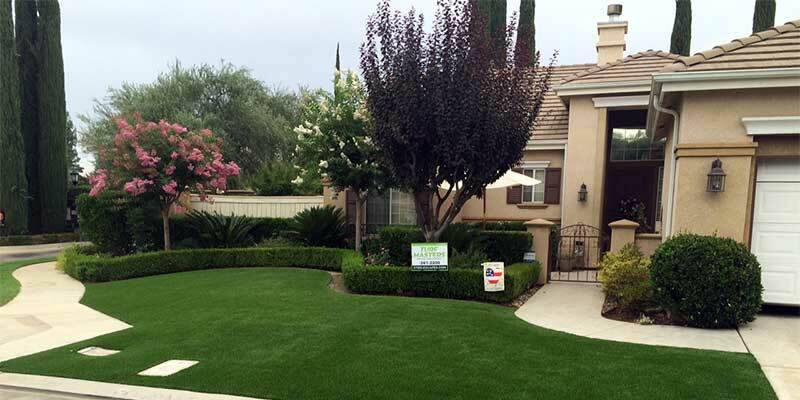 Turfmasters of Fresno is a division of Steelescapes Inc. We have built Turfmasters to serve the San Joaquin Valley on a foundation of honesty, quality workmanship and reliable customer service. That is the Steelescapes way! We are a reputable company that has been creating and installing outdoor environments for over 25 years in the Fresno area. We are the "GO TO" leading landscape contracting company that can handle all your outdoor living space needs, including synthetic lawns and putting greens. Install a smart controller - Save 30% water usage by having Steelescapes convert your spray heads over to MP high performance heads. 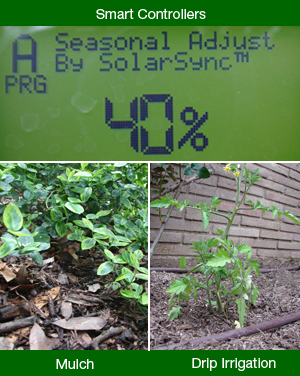 Use a drip system if possible. Mulch, Mulch, and more Mulch! Keep a 2-3 inch layer of bark or leaves in beds. This will significantly reduce water use and will also prevent competing weeds from emerging. Choose plants wisely with LESS LAWN. Ask your local nursery for water wise plants. Install permeable walks, patios OR convert your existing turf to Synthetic Grass.